I built this workbench in the late 1980's. It serves me well and I have very few complaints. 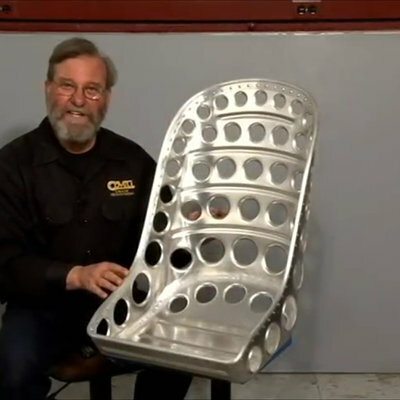 The design is basically the Frank Klausz bench that is detailed in Scott Landis' landmark The Workbench Book. The major changes I made were making it left-handed, and using a quick release vise as the front vise. 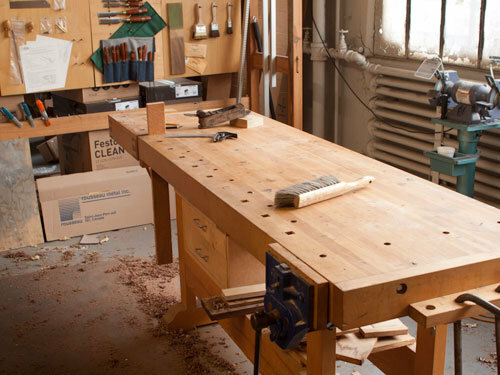 Most modern workbenches don't use a traditional tail vise, they usually use some version of a face vise just at the end of the workbench, or some sort of wagon vise. 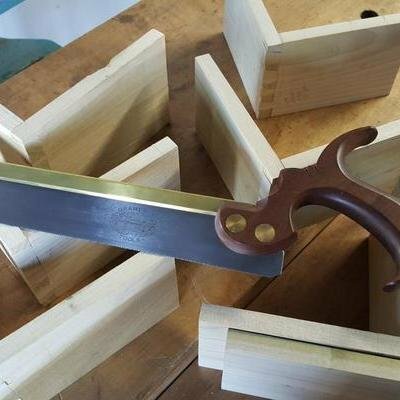 While these approaches allow you to clamp lots of long things and are reasonably versatile I don't think they are nearly as useful as a traditional "L" shaped shoulder or tail vise. Another use for a tail vise is something I saw recently and adopted immediately. Tage Frid, one of the early writers for Fine Woodworking would saw his blind dovetail tails by holding them diagonally in the tail vise. 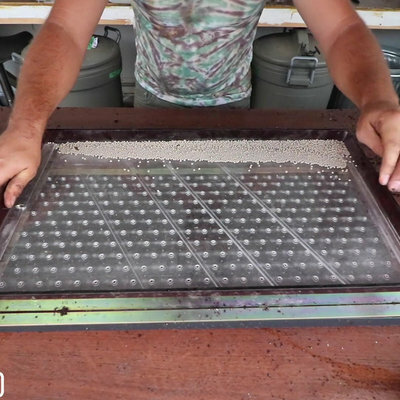 I tried this and it means I don't have to crouch and saw up, and I can see both the inside face and the end grain as I am sawing. I do have it in for the double screw vise mounted at the end of the bench. In my opinion it's definitely at the bottom of the heap of vises. I understand why a double screw vise can be handy on the face of the bench - for clamping boards for dovetails and things like that but even so any regular double screw vise is a little low for fine work. Additionally the light is wrong at the ends of a workbench for fine work. 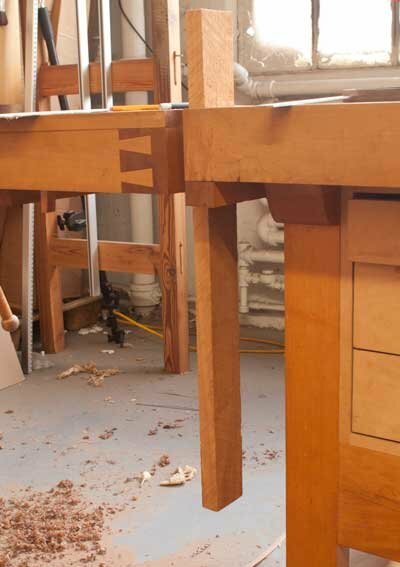 A Moxon Vise in any of its forms is far more useful and is at the right height. For regular clamping of long boards all a double screw vise at the end of the bench does it give you two threads that can bind and if a piece of wood or wide panel is not going to move around the bench with a single threaded vise, two threads don't add anything. As for gluing up big panels and things - well that's why bar clamps were invented. Gluing up in a vise is a shortcut I have been guilty of but for a wide panel bar clamps are a much better solution than an end mounted twin thread vise. P.S. I apologize for the poor quality of the photos. They really should be from the other side of the bench and show me actually doing something useful.